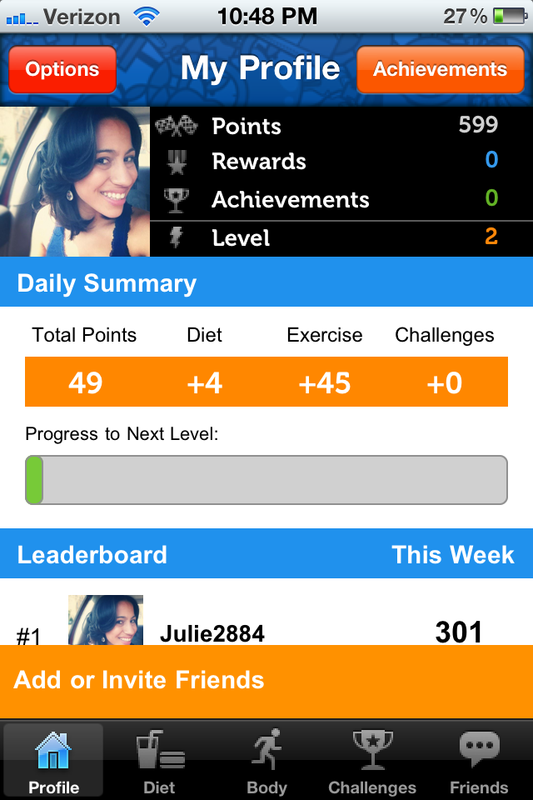 App Review: SlimKicker and Digital Kitchen Scale GIVEAWAY! Thanks to my plant-based diet, my energy level has been through the roof! Before my diet change, I didn’t have the energy or the drive to exercise. I would come home, nap, eat, and sit around. Now, I wake up with no caffeine or sugar and start my day energized – sometimes I even exercise twice a day! First, you have your personal profile page. Your profile page shows everything involved in the app – points, rewards, and achievements. Your leaderboard shows how you rank among your friends. The Diet page lets you log your food and you gain points by eating healthy calories like fruits, vegetables and whole grains. On the the Body page, you can log your weight, set a weight loss goal, and log your exercise in order to gain points toward your rewards. They have a great selection of exercise types that even calculate the calories you burned for you! That brings us to the Challenge page and the topic of our GIVEAWAY! 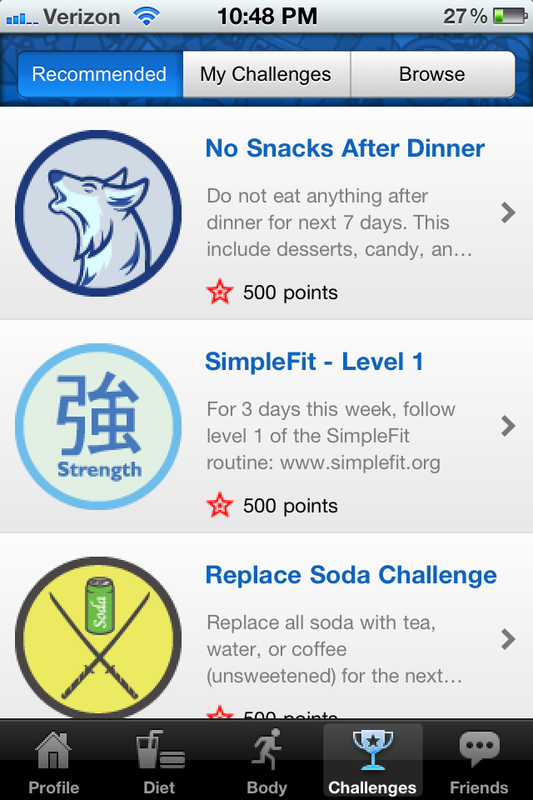 SlimKicker encourages its users to complete challenges, like giving up soda for a week or eating a salad a day, to earn points towards their chosen reward. SlimKicker needs YOUR help to come up with some fun and creative ideas for their Challenges. To enter, leave your suggestion for a new diet or fitness challenge in the comment section of this post – try to keep it to a sentence or two. The contest will run for exactly one week – at that time, SlimKicker will choose their favorite idea and it will be announced in a post. Pretty sweet, huh? So leave me your best ideas for a fitness or diet challenge in the comments below – you can only enter once, so be as creative as possible! Contest ends 8:00pm EST on Friday, July 27th. How about giving up alcohol for a week or even a whole month? Beer and sugary mixed drinks are full of calories! Gympact! Another great app that can put some backbone in your will power. https://secure.gym-pact.com/ Make money by going to the gym! Hold a plank when the commercials start, and until they end… It’s hard at first, but once u get used to it, it’s pretty easy! Do this for a week and ur core will strengthen. not using the full monetizing potential of your website.